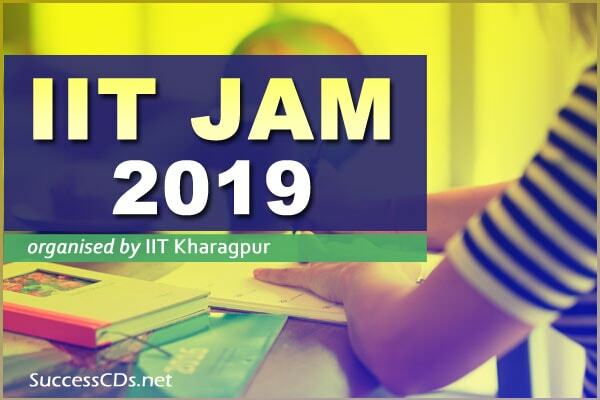 What is the IIT JAM 2018 ? The period for submission of online Admission Form is 11th April2019 to 24th April2019. Section-C contains a total of 20 Numerical Answer Type (NAT) questions involving 10 questions of one mark each and 10 questions of two marks each. No choices will be shown for these types of questions. A candidate has to first register on JOAPS website, by providing his/her name, a valid E-mail address, a working mobile number and a password. The candidate must give an E-mail address that he/she uses and checks frequently, as all communication to the candidate from JAM 2019 will be sent to this E-mail address. The candidate must not use somebody else's E-mail address and only one candidate can be registered with one E-mail address. Rank List For each test paper in JAM 2019, an All India Rank (AIR) will be assigned to all the appeared candidates based on their performance in the test paper.